We arrived in our last country knowing we had only a week to serve and be with the missionaries and families we would be helping. It was a bit easier to push through and finish strong in this last country because of the true need El Salvador has for people to be the hands and feet of Christ. We worked with a grassroots organization called Project Red (projectredelsalvador.org) which grew out of the need for a holistic support approach of families in the country. A new law was recently passed based off of UN legislation that closed virtually all orphanages in El Salvador and sent the children back home to live with their biological family. This is often to a broken, impoverished, abusive, dangerous situation for the child. The need then arose for help for families with physical, emotional and spiritual needs that were in no way being met by the government or even local church. Project Red came in with the vision of Reintegration, Education and Development that would allow these families to eventually stand on their own and have hope for their lives ahead. What a worthy cause in the name of Christ! 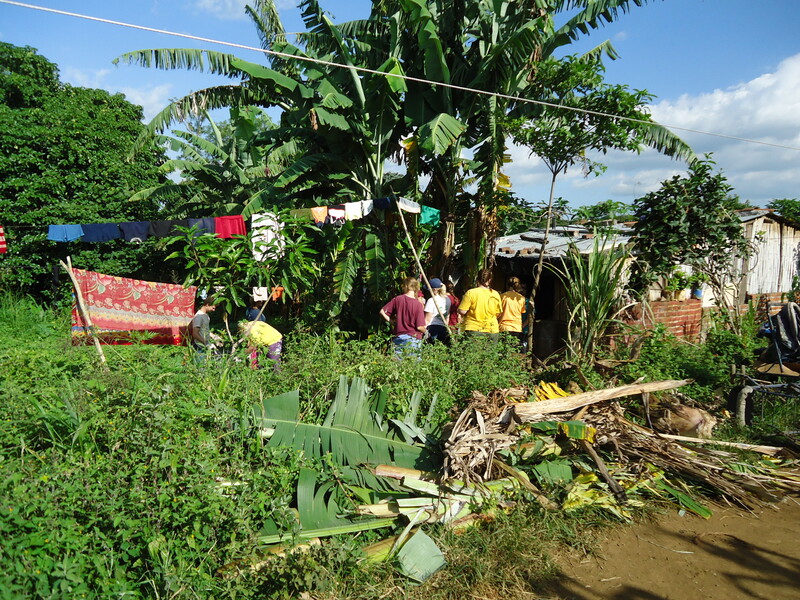 Our team spent time painting houses Red had built, ministering to and spending fun time with the families of Red, building chicken coops, putting together donor packets, and even cleaning up trash and planting a garden. The families were so helpful and thankful, clearly not taking us for granted but working alongside the labor we brought. The hardest day for most of us was the last day when we built the chicken coop (or at least as much as we could). There was lots of cement involved and some of us (mostly me and three other girls) may have gone a little crazy on top of our mountain of cement to be moved with only two sticks and a bucket. But let me tell you we destroyed that mountain. It was quite a feat. Our stick and bucket and cement pile. But my favorite ministry job was the cleaning up of the yard and building of a garden for the Cerna family. Mrs. Cerna’s husband is in jail for impregnating her twelve year old daughter, and she also has four other small children to care for. 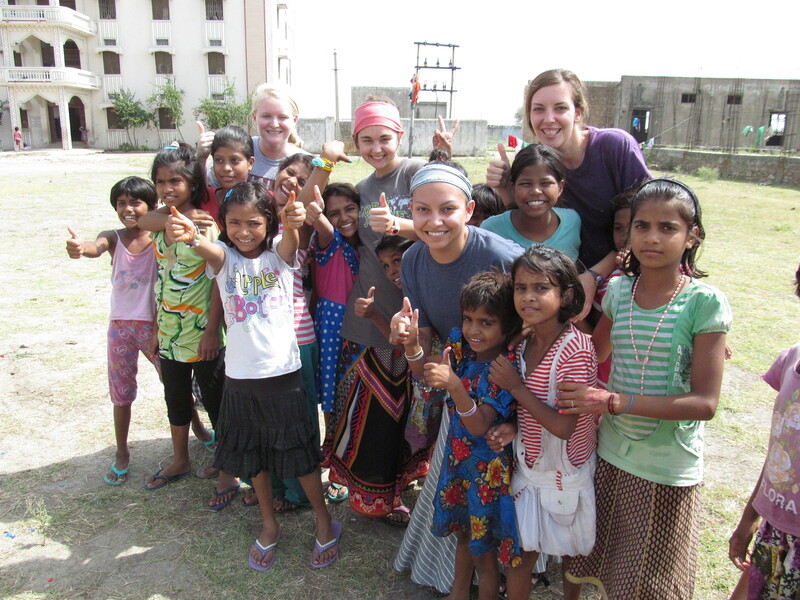 They live in very impoverished conditions but are making progress through Project Red. When we arrived and started cleaning up the trash, we discovered just how deep the trash was into the ground; layer upon layer was unearthed and put in bags…about ten in all from a very small space. Dead tree limbs and baby dolls and broken rusty strollers and shoes and wrappers littered the yard underneath weeds and dirt and lots of ants. We worked hard to remove as much as we could, and when clean dirt remained, a garden was built and the family was given seeds and tools to harvest their own food and make the land productive instead of completely wasted. What joy it brought to them! The whole time I was reminded of how this was a very tangible picture of what Christ did in my life and in the life of every believer. Ephesians 4:22 reminds us that we “were taught, with regard to your former way of life, to put off your old self, which is being corrupted by its deceitful desires.” Our old life is full of trash! Layers and layers of disgusting, useless trash. The longer we keep it, the more disgusting and hard-to-remove it gets. But y’all, Jesus is the ultimate trash-remover! He knows where each piece is and how to remove it if we only ask. And not only does he remove our old self, but He tells us to “put on the new self, created to be like God in true righteousness and holiness” (v. 24). “The mind governed by the flesh [the old self] is death, but the mind governed by the Spirit [the new self] is life and peace.” (Romans 8:6) Christ frees us from the fruit of sin and allows us to produce the fruit of the Spirit, and reap life and peace! How much better is that! “For if you live according to the flesh, you will die; but if by the Spirit you put to death the misdeeds of the body, you will live” (Romans 8:13). What a beautiful promise available to all who believe! I encourage you to confess the sin and trash in you life and allow Christ to both remove it and replace it with life in the Spirit! Expose darkness; have nothing to do with your former self – we wouldn’t want the Cerna family to bring all the trash back into their garden! It wouldn’t produce the fruit it was meant to! Bear fruit for Him who bore your sin and death on the cross. He alone is worthy of your labor and worship. I am so thankful for the redemption the Lord has provided for the Project Red families. I hope you realize that redemption is waiting for you too! Part of our team on top of a volcano! When we first crossed the border from Italy into the tiny country of Slovenia, the most beautiful mountains appeared before us, covered in trees and their peaks infiltrated with the fog and clouds of an afternoon shower. There was virtually no flat ground as we traversed the country to our destinations in Idrija and Bovec. Roads wound between the mountains and creeks and waterfalls meandered through the terrain. It was the most beautiful scenery I have ever seen in my life. It reminded me of the mountains of Tennessee but they just never ended. Everywhere you could be you were surrounded by huge peaks on every side. The tents we stayed in also rose over the bushes in the Kelley’s back yard. Yes, we stayed in tents. What an experience! Small towns were scattered intermittently through the mountains, and church steeples rose against these majestic backdrops. These churches, despite their picturesque appearance, are completely empty. Except for an occassional wedding or funeral, they remain empty every Sunday. We went to a house church on Saturday night and met three believers…only about seven total are in the three surrounding towns. I had never been in or even heard of a place with single digit numbers of believers over several villages! But that is truly the situation. We spent most of our ministry time distributing literature to the houses of Bovec and surrounding towns on foot and by bicycle. Every morning while we did this I was constantly reminded of the Lord’s majesty that surrounded me. Everywhere I turned a picture-worthy scene was before me; I was in awe that I was seeing this with my own eyes. We prayed over the towns and the tracks that used the words of a famous Slovenian to share the gospel through a simple Bible study. After distributing tracks to a town, we stopped to cool our feet in the freezing cold river! The Slovenians wake up to these beautiful scenes each day. They loudly proclaim the Lord’s glory and majesty! So have they all necessarily heard a preacher share the Good News of Jesus Christ with them? Not necessarily. But Paul asks a similar question in Romans 10:18 – “But I ask: Did they not hear? Of course they did: “Their voice has gone out into all the earth, their words to the ends of the world.”” Paul uses Psalm 19 to show that even people who haven’t heard someone speak about God still indeed have evidence, through creation, of who He is. Once we put the actual material that indeed explicitly explains the Gospel in the mailboxes of every Slovenian in a roughly ten mile radius, they certainly have heard the word about Christ. Psalm 19 also talks about the actual laws and words of the Lord as being “more precious than gold, than much pure gold…By them your servant is warned; in keeping them there is great reward.” (v. 10, 11). They have scriptures now to look to that truly explain what Christ has done for them. By them they can have salvation! The key words for us and for the Slovenians are those in the last line. For forty years – for us it is a lifetime of seeing his creation – we saw what He did. We have all seen the Lord’s creation, and I would dare say most of you have heard the Gospel actually spoken or read to you at least once. We are without excuse, y’all. We can choose to submit to the glory and holiness of the Lord and realize our wretched state and need for the cross, or we can ignore all of the truth that surrounds us and trust human “wisdom.” There is no grey area. Choose this day whom you will serve. Question whose wisdom you are trusting in: is it the Lord’s, the one whom all creation declares, or your own? Woe to anyone who believes they can produce truth! I am so thankful for a God of Truth who reveals himself to us; the fact that He can be known at all is incredible, but the fact that He chooses to reaveal himself that we may come to Him and be saved is the most loving, gracious truth I have ever known. I hope you grow to know it too. Pray for the Slovenians who are ever seeing and hearing but never perceiving or understanding. Pray that the Holy Spirit would draw them, as I pray He draws you! Howdy folks! Our team has just finished our ten days in Mbale, Uganda working with Lulwanda Children’s Home, which serves orphans by giving them a true home experience including beds, meals, education on-site, church, and domestic work lessons. 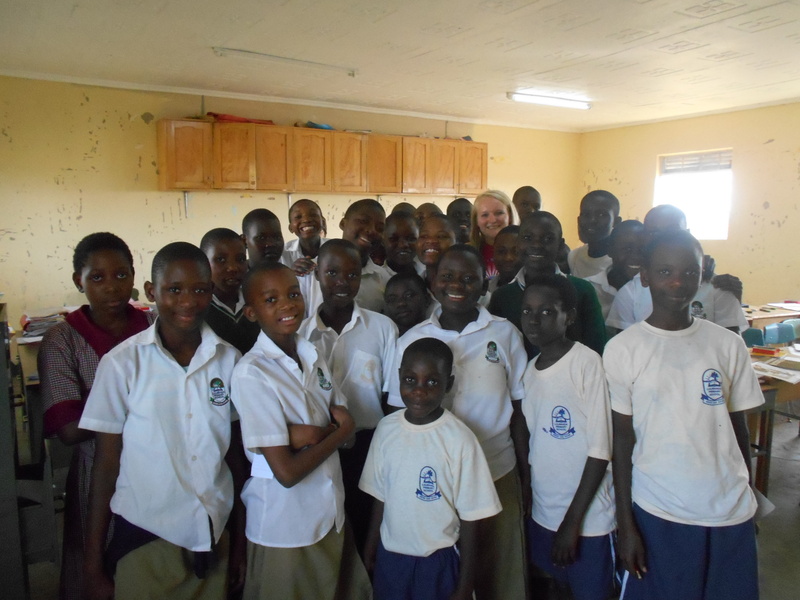 Most of the children have lost one or both of their parents to AIDS and were truly in need of a safe, nurturing place. 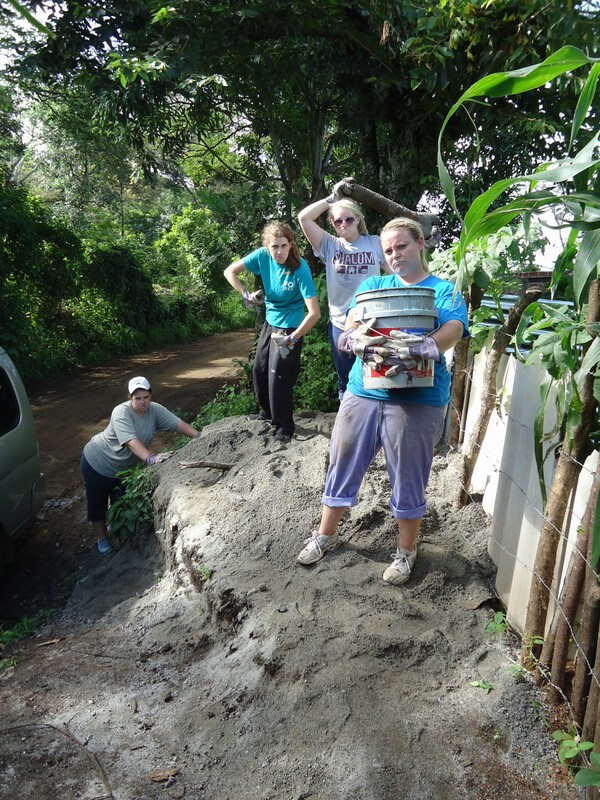 Our main task at LCH was painting the exterior of the school building, as well as scraping and painting a container and putting up mosquito nets for the children. Honestly I wasn’t too excited about the manual work – I just didn’t see why we needed to go all the way there to paint…but of course the Lord had much more than that in mind for my team and I. 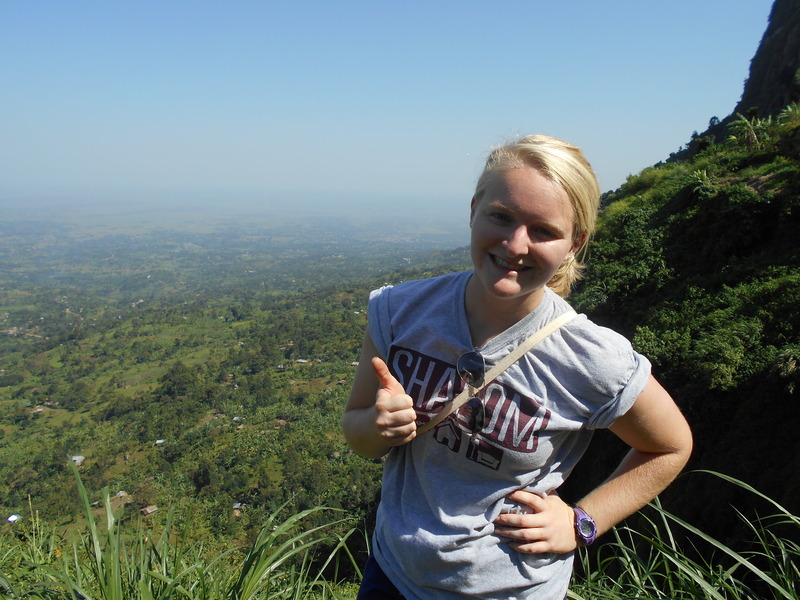 We were able to interact with the local missionaries Natalie (an Aggie! Whoop!) and the Palmer family, as well as LCH staff, teachers, and of course children. Another team came about halfway through our trip and we joined them to lead Bible studies in the afternoon, which was so encouraging. I worked with the older girls, and hearing their wisdom and simple astuteness about the Word was a true pleasure. My favorite day of the trip was when we took a hike on our day off to the top of the huge platau/mountain in the middle of Uganda. It was one of the hardest and most unique physical feats I have ever undertaken, and I definitely had to mentally struggle to get up several ladders and rock faces. It was our team and the mountain and our guide Enoch who must have been very entertained by our group trying to do all this in reasonable time. But when we reached the top safely and could see so incredibly far…. I truly felt like I was sitting at the feet of the Lord’s creation. I know that sounds like a strange sensation, but I felt so small and in awe of His creation and the fact that I know His hand helped me get up there safely. There was one special staff member I really bonded with and befriended over our time at LCH. Agnes is a “house mother,” which means she stays with the girls as their mom and also works doing general chores and things that must be done to keep the orphanage running. She was so loving to me, and every time I would come see her she would hug me and tell me how much she loved and appreciated me, despite the short time she knew I would be there. She is thirty six with four children and no home to call her own besides her room at LCH. Her children are all in college or high school, and they are Muslim. She used to be Muslim as well, but found Jesus and is now a faithful follower of Christ, hallelujah! Please be praying for her children to do the same. Agnes is special to me because she taught me, in the words of another staff member, how to be “a real African woman.” Agnes and I would pick rocks out of rice, sort the good beans from the bad beans, knit, wash dishes in the spicket, gather dry beans for planting, fix “spoiled” mops, and other random jobs. She was such a giving woman, and would present me with tea or with a mango at the end of a task. While we did all these things, and I sat at her feet learning, she would freely talk with me about life, love, and the Lord. I have never met anyone who opened up to me that quickly about their testimony, but it really allowed us to form a sweet intimacy in our short time together. I would make sure we got our painting done for the day, but it was always a highlight to go and see what was on Agnes’ mind that day. She was the truest example I have seen of someone loving simply because they know the Lord loved them first. She asked me to write down my prayer requests, and I know she will be faithful to present them before the Lord; it only makes me more eager to present hers before Him. I am so glad I went and asked her that first day if she needed help picking those tiny tiny rocks out of the rice; I am so glad I learned the value of just sitting at someone’s feet, learning and talking, and always giving the Lord thanks and glory through it. 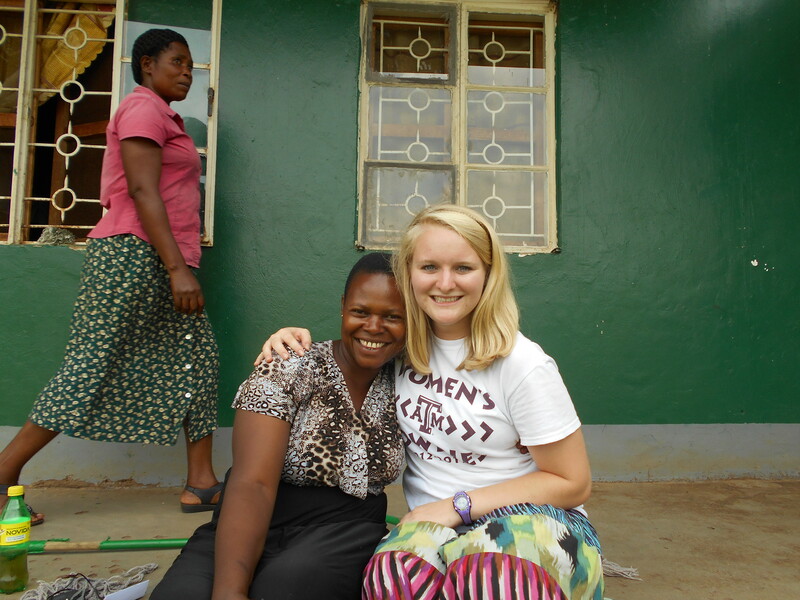 I want to let y’all in on another big learning moment I had in Uganda. After two very rough travel days to get here, I was pretty discouraged, and was again none too excited about manual labor. I was feeling resentful and judgemental towards my team; I was mad at myself and it was as if I had forgotten what this trip was about or what I was supposed to be doing and learning. I literally had a breakdown in my room one night in the heat of some real spiritual warfare. I had to lay on my matress and cry out to the Lord for comfort, assurance and strength. I needed forgiveness, weapons and armor for spiritual battles, assurance of my identity and purpose in the Lord. I needed a fresh look up at Jesus’ face to be reminded of who He is, and what He is doing and has done for me. Just as Mary in Luke 10:38-42 sat at Jesus’ feet, I felt like I had to sit at His feet, even at the foot of His cross to fulfill His will and purpose for me on this leg of the trip. When I was distraught about my attitude and situation, I remembered my highest desire for Uganda and even my life; the one thing that Jesus spoke of to busy Martha: “One thing I ask from the Lord, this only do I seek: that I may dwell in the house of the Lord all the days of my life, to gaze on the beauty of the Lord and to seek him in his temple.” Psalm 27:4. That night I had to come to His feet, lay, cry, worship, repent – to seek His face and His presence. I encourage you to also take time to genuintely sit alone at Jesus feet. James 4:7,8 and 10 tell us to “submit yourselves, then, to God. Resist the devil and he will flee from you. Come near to God and he will come near to you. Wash your hands, you sinners, and purify your hears, you double-minded. Humble yourselves before the Lord, and he will lift you up.” Which of these things do you need to do? What do you need to cry out to the Lord for today? When is the last time you humbled yourself to sat at His feet, meditate on His word or simply worship Him in His goodness and mercy and grace? Take time to abide in his presence, dwelling in who He is so He can communicate with you and answer you in your need. Jesus promises that it will not be taken from you. It is all that is needed – seeking Him first and sitting at His feet; everything else will be added unto you. Pray this for me as I pray it for everyone who reads this post. 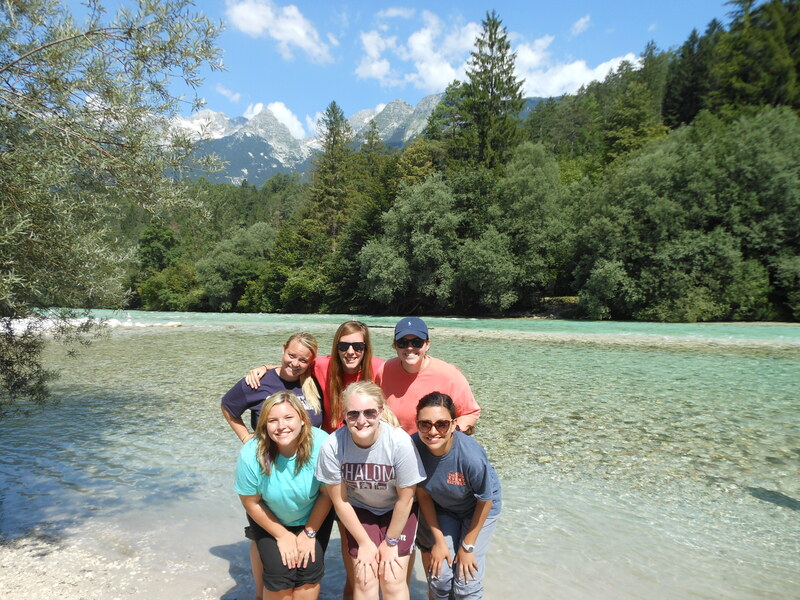 Pray that it will equip my team and I for the evangelic ministry that awaits us in Slovenia. I have been waiting to be in this country four years now. It is the reason I heard about Global Journey in the first place. I was giddy with excitement as we flew in, but crushed with the weight of God’s heart for these peoples to the point of tears on our thirteen hour bus ride to the orphanage. Our team stayed in a house on the orphanage grounds in beds similar to the ones the children had. Some nights the AC worked, sometimes the power would go out and it would get pretty hot. The temperature during the day hovered around 100 degrees, and the one time it rained we all had a dance party in it – what a treat! A typical day was waking up, eating breakfast, team worship/devotion time, playing with the kids, lunch, naptime for everyone, more playing, then evening prayer, dinner and bedtime. During the evening prayers we got to perform songs, skits, give testimonies, and simply have fun sharing the love of Jesus with the kids. We ate mostly traditional Indian food the whole time, took bucket baths (ew haha) and even learned some Hindi! All the Aggies on our team teaching the kids to Gig’em! As some of you may know, I have felt called to India for some time now, I just didn’t know what that would look like. This was the most precious gift the Lord could have given me, and I definitely don’t feel like I am done with this country yet. I definitely want to share with y’all some of my deeper experiences and lessons I learned in this, our most uncomfortable yet up-close-and-personal country on the trip. What gave my team and I the energy and love to be with these children all week? Was it the food? The sleep? Absolutely not! 2 Corinthians 5:14,15 sums up where our incentive, motivation and strength came. Paul writes about why he shares the gospel, saying “For Christ’s love compels us, because we are convinced that one died for all, and therefore all died. and he died for all, that those who live should no longer live for themselves but for him who died for them and was raised again.” These kids were so welcoming to us, running at us with open arms every second we were with them. They wake up in prayer and end their day in prayer. It was so incredible to be a part of…but I am positive that the love I had for these kids was only because the Lord loved me first! True love can flow out of nothing but the fact that God loved you first! These kids are so ready to live for the Lord. I met boys and girls who want to be pastors, missionaries – and are willing to give their lives to the Lord because of what He has done for them. The Lord and His love compelled me to love these children, most of whom have no father or mother. It wasn’t my responsibility or “Christian duty” to love them, but it was my privilege, honor, and joy to bring smiles to their faces, pray over them, and worship with them. Now is my first challenge to you: What is Christ’s love compelling you to do? If you do not feel its tug on your heart to action (prayer, serving, giving, etc), then ask the Lord for a revelation of His fatherly love. For the revelation of the love that sent His only son to die for you in your sin. He loves you now, even if you don’t love Him back. Accept His love and forgiveness; As Paul said to the Corinthians, “We implore you on Christ’s behalf: be reconciled to God. God made him who had no sin to be sin for us, so that in him we might become the righteousness of God.” (2 Cor. 5:20b,21). Let Him be your righteousness – you simply cannot get to God on your own; neither can these kids. This leads me to my second thought – even though these kids are so precious and innocent, they indeed have a sin nature just like you and I. For example, girls got jealous, boys got violent; the two girls that were with me most even pulled a chair our from under me, and I tumbled shirt-over-head onto the concrete! We all do that to each other sometimes – maybe not literally, but you know what I mean. Even petty little sins are enough to separate us from the Lord. Pray for forgiveness each day, and be reconciled to God, even as these kids have to do! I thought I was going to sleep just like them, etc, but they would not have it. They offered me my own bed, always under the fan or in front of the window. They folded my skirts as soon as they were off. They fluffed my pillow and adjusted my sheets. They did my hair and drew beautiful henna art on my hands. They asked me about my family and shared with me pictures of theirs. They opened up about their struggles, their hopes for the future, and how they met Jesus. As soon as I looked sleepy, they asked if I was tired and wanted to go to bed. It was evident that I would decide when this would happen. In the morning, at 5:30am for morning prayers, they asked me to lead them in the closing prayer. These two times were my most memorable, most precious memories I will take from my time there. I felt completely unworthy of this honor since I was supposed to be there to serve them, but they literally could not be outdone in hospitality, love and service. I definitely have an example of what not living for myself looks like. I pray that I more fully learn to live with their abandon the rest of my trip and when I return. My last challenge then, is how can you honor others in your life – strangers, enemies, even family (who sometimes are the hardest to serve for some reason). Honor them as loved ones of the King of the earth! How do you know when you’ve served them enough? When you have died for them. Until then, you can probably do more. That was Jesus’ model. Take on the form of a servant as he did, and as these orphans did as I stayed with them. I continue to thank the Lord for your prayers and gifts that make this trip possible. I see answers to my own prayers each day, so I know yours are being answered too! 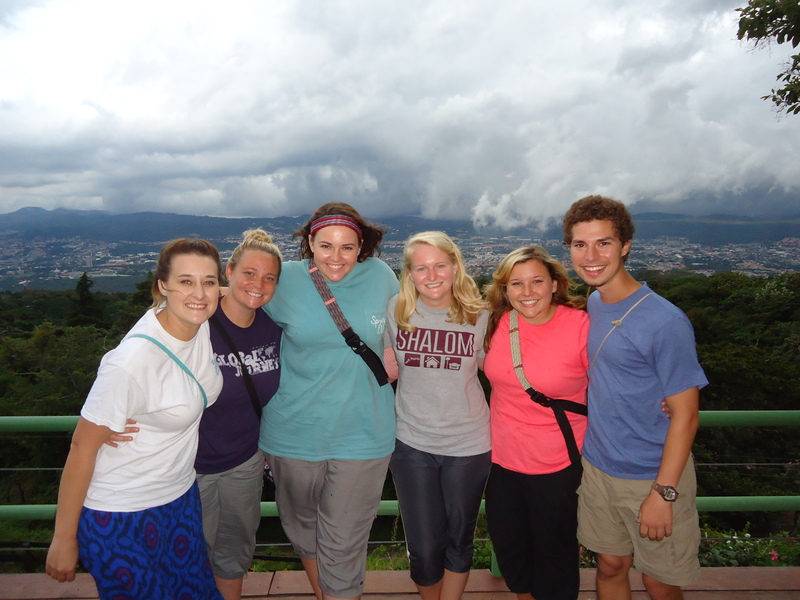 Pray that we enter Uganda as a unified, healthy, joyful and energized team. There is so much more I could say, but we obviously have to stop writing at some point. I love you all so much – I think about everyone back in the states in my prayers often. Keep serving the Lord this summer, and keep your gaze always on Him, the author and perfecter of our faith. Thank Him for His presence and work in India!!! Hey everyone! I wanted to write a second blog about Hong Kong to just sum up some of the work done here and to share some cool stories! We arrived about eight days ago, and over the course of those days delivered thousands of Bibles across the border from Hong Kong into China. We did two “runs” a day for five days (weekends off) with a suitcase full of Bibles and even Sunday school material. The risky part about this ministry tactic is getting stopped in the Chinese customs area, where your Bibles can be confiscated (you have to pay to retrieve them when you go back to Hong Kong). It is only about a thirty foot track of space that they can catch you, but they are trained to find the undesirable goods. The item I saw most being taken into China was baby formula. It was kinda weird to see loads and loads of baby formula going across, but the business is apparently very lucrative. I personally crossed the border nine of ten times unhindered. What a miracle! God sees each Bible and we trust Him to protect each load. Tuesday, however, on my first run I was stopped by a customs officer when he tapped me on the shoulder and asked for my passport. I handed it over and had to show him my precious cargo. He pulled me into a room with baskets and told me to start unloading some of them. As we both knelt down to take them out, I told him that Jesus Christ died for him, that He loves him, that He has a purpose and plan for him. I told him that Jesus was everything to me, and that the Bibles I had told about this truth. I lastly challenged him to ask God to reveal Himself to him and He would show himself true. Though he said he didn’t believe it, the name of Jesus was spoken over him and I know that things shift when that happens! Praying for his salvation even now. China and Hong Kong have very interesting cultures, and it was different being in a huge city. But y’all, God loves the Chinese people just like He loves you and I! Let us pray that God would pour life into the Word that we brought across. It is only through His Spirit that we can understand it. This past weekend we had Saturday to explore Hong Kong. We went to a beautiful waterfall (see picture) and got to worship on the rocks there. The water was so so cold but we all got in and swam! Then we went to a market that night with lots of souvenirs and knock-offs and such. Sunday we attended one of the missionary’s churches (in English and Chinese) and worshipped in Chinese and heard from a missionary to Mumbai. It was so encouraging! He talked about being an opportunist – and so I pass the message onto y’all to try and share the Good News of Jesus with someone in your sphere this week! We then got to go to the harbor of Hong Kong where we had a great view of the big city. Feel free to comment on and share my blog with anyone you want! Ni Hao from Hong Kong! I am sitting in my bed looking out the window across the border into China. I see all the tall buildings so characteristic of the big Chinese cities. A haze covers them and makes them look very grey. In a few hours I will do two more trips into the Mainland to deliver the most precious goods the customs officers will ever try to “protect” their country from. We are bringing Chinese Bibles across the border to be distributed to the many thousands of underground and urban churches that exist covertly in China, and each one across the border is a miracle from the Lord. The need is great. We were told the devastating statistics that millions…MILLIONS of Christian Chinese do not have a Bible among them to study from and gain life from. The Church is growing so fast, but only the Registered Church (run by the government) is allowed to request Bibles. This is a problem, and the currier ministries are indeed putting a dent into this great shortfall among churches who claim Christ as their only head. But prayer and support are needed to keep these ministries afloat. I cannot go into much detail about how or where or for whom we are working, but know that it is a cause worthy of our trip. Let me share my vision with you faithful prayer warriors and curious followers and friends about what the Lord is accomplishing through these Bibles. Romans 10:17 says “Consequently, faith comes from hearing the message, and the message is heard through the word about Christ.” The word about Christ can indeed be spread by word-of-mouth, but there is something so special about having your very own resources to read from and discern the voice of God through. That is what the Lord desires for the Chinese! I picture a foundation being laid with these Bibles in China that will not be shaken by any government, any turmoil, any repression. The foundation of Christ that comes through His message in the Word cannot be shaken! We are physically bringing them weapons. If you hit someone over the head with a Bible it doesn’t really make an effective weapon, but Ephesians 6:17 charges us to “Take the helmet of salvation and the sword of the Spirit, which is the word of God.” We are giving them the weapon of the Word to fight the spiritual darkness that is so very real and evident in China! This is how the Christians in China will overcome the darkness: with the light of the Word, which is Jesus Christ. Lastly, we are feeding the starving people. When Satan himself tempted Jesus in the wilderness with bread, when Jesus was starving after 40 days in the desert, “Jesus answered, “It is written: Man shall not live on bread alone, but on every word that comes from the mouth of God” (Matthew 4:4). The Chinese people are starving for bread that will satisfy for eternity, not just a day. The gospel is life for eternity. Physical needs are only good for this life on earth. Pray that they would be so satisfied by the Word of God. This is the Lord’s ministry here in Hong Kong. I would love to take the opportunity to encourage anyone who does not regularly read the Bible or who is just skeptical of its power, please take the endless opportunities that we have in the States to read it for free, in a hundred different translations and formats. John wrote his gospel so that “you may believe that Jesus is the Messiah, the Son of God, and that by believing you may have life in His name.” (John 20:31). Ask the Lord to reveal Himself to you through His Word. His Spirit will be faithful to do that in you! Pray for the Chinese that these precious Bibles would become their foundation, their weapons, and their bread. Let it be yours as well. 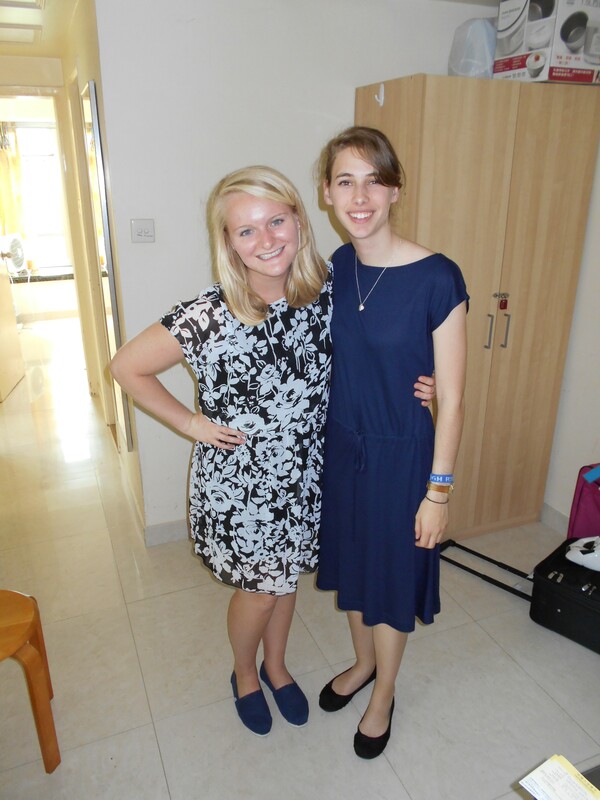 Kathryn and I before our first trip across the border! 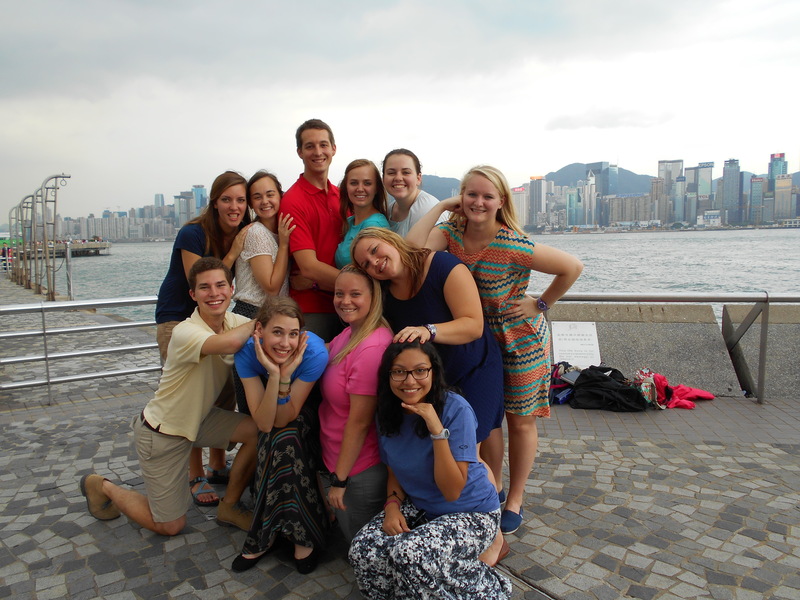 Awkward family photo with the team, Hong Kong in the background! Hi friends! I hope that as school winds down or simply as spring changes into summer, you are filled with excitement as I am about what the next season brings. So a little update on me I suppose: I just finished my second year at Texas A&M University (WHOOP!) and I have to say it was one of my hardest semesters yet. But God was so prevalent in it and taught me so so so much! I am so very grateful for the diverse experiences I was able to have this semester. Most importantly for y’all to know is that all the money for the trip has been raised!!! How miraculous is our God!? He is so great! 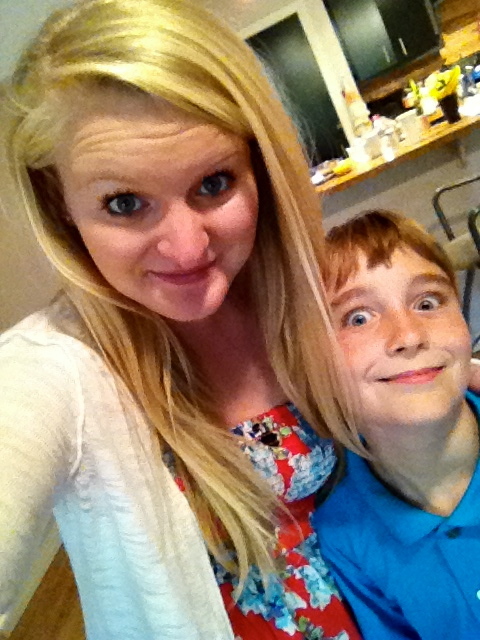 I had the pleasure of babysitting my little (10 yrs old) brother Samuel last week while my dad and stepmom were away. It was so fun and relaxing! But I have to brag on peetooteepoo (as I call him). This kid has the obedience, respect and humility of no other 10-year-old I’ve ever met. He never complained. I was listening for it! He didn’t ask why when I asked him to do something. He even apologized for making me go into GameStop – I was like, Samuel, we are here to do what you want! It’s okay! Hahah. I just have to look at myself and say, is this how I act towards the Lord? This is what I want to take a second to talk about. Do I ask the Lord why, and make excuses, when He calls me to something? Do I ask him for an easier plan first? Is my obedience tied to the twisting of His arm for something I want (which is impossible, by the way; God’s arm is mighty, dontcha know?)? Am I like Christ in my obedience unto death, humbling myself and ONLY doing the will of my Father? It’s hard to be obedient like that, right? It’s just tough. We are only human. Right? Wrong y’all. We have the HOLY SPIRIT!! The one that raised Christ from the DEAD, remember?! The whole reason for this Christianity thing you say you believe in!? Well if you ask for it, you can have that same exact spirit!!! I’m excited about this fact because it’s the most incredible thing I have ever heard or felt or lived out in my entire life. So yes, obedience like I described (unto death) is completely and utterly and totally impossible….in the flesh. But 100% doable in the Spirit! God calls us to obedience. He calls us to a life of holiness. A life of fruit in the Spirit. These are lofty things that we absolutely cannot attain on our own. It’s not going to happen. So He gave us of Himself, the Holy Spirit, to dwell in us and show us the Father’s heart and will. I want that to be the power that I draw from on Global Journey. The power of the Spirit to bring the gospel and move hearts and minds as I cannot. I pray that the Spirit would draw you with the gospel even now, reading this blog! He can so do it! My prayer for you is the same as Paul’s in 1 Thessalonians 5:23-24: “May God himself, the God of peace, sanctify you through and through. May your whole spirit, soul, and body be kept blameless at the coming of our Lord Jesus Christ. The one who calls you is faithful, and he will do it.” See y’all, we don’t conjure up the strength, but the Lord in his infinite grace and mercy give us 100% of what we need to obey what he is calling us to. He fulfills his own requirement of us. This is what He did on the cross. Let us worship and praise and adore him in thanksgiving!! PS. 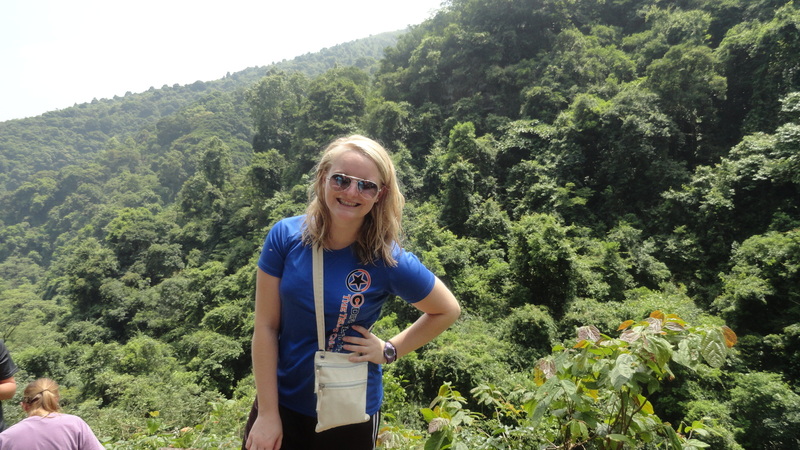 If you want updates as I travel (which starts June 6, so please join me in prayer leading up to it! =]) please subscribe your email to my blog! I only post once about every 10 days on the trip, so it won’t be obnoxious. I want to give the Lord glory through the work He does, and you don’t wanna miss out!